I’m announcing my resignation as a member of the Instagram community. Note: My resignation has nothing to do with the shocking departure of Instagram Co-Founders Mike Krieger and Kevin Systrom. But it’s effective immediately and, to paraphrase what corporations everywhere say when they’ve just dumped a top executive, I’m leaving to pursue other channels. I’m stepping down because I am appalled at the vast spam wasteland that Instagram has become. I doubt I’m alone in making this observation, but I now spend more time deleting unsolicited ads on the platform than I do liking or commenting on member’s posts. 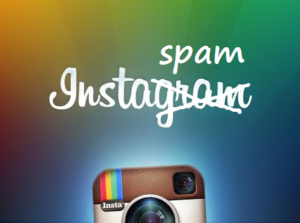 I realize Instagram needs to turn a profit, but the sudden tsunami of unsolicited ads is a complete turnoff. I realize the entire advertising universe is going through a very tough time (witness the huge turmoil at the major holding companies), but Instagram is making a huge mistake in terms of customer experience. I loved Instagram because I saw it as the crossover star between Facebook (purely personally content) and LinkedIn (of, by and for professionals). But now it’s turned into a 24×7 deluge of product, service and company ads that I am neither interested in, and slow me down in searching what’s new with my connections – my ultimate attraction to the platform. Job one for the new Instagram management team should be a deep dive into UX to ultimately figure out a better path to profitability. I can guarantee that if they don’t find a fix soon, many other loyalists will be leaving InstaSpam to pursue other channels. I’ve noticed that in the past few months, I’m perusing Instagram less and less. The same actually applies to Facebook so maybe I’m just going through a phase, but I do think it’s because they seem more and more ‘commercial’. Thanks, Steve. Have been thinking about doing the same thing for the same reason. It’s a real turnoff!